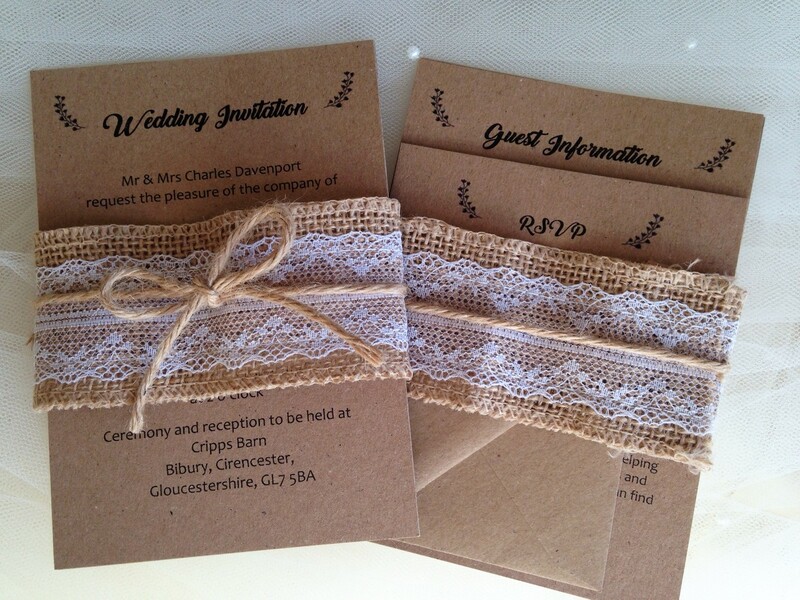 Burlap and Lace Wedding Invitations are a fabulous bundle of stationery items kept together in a beautiful burlap and lace hessian belly band and finished with a twine bow. 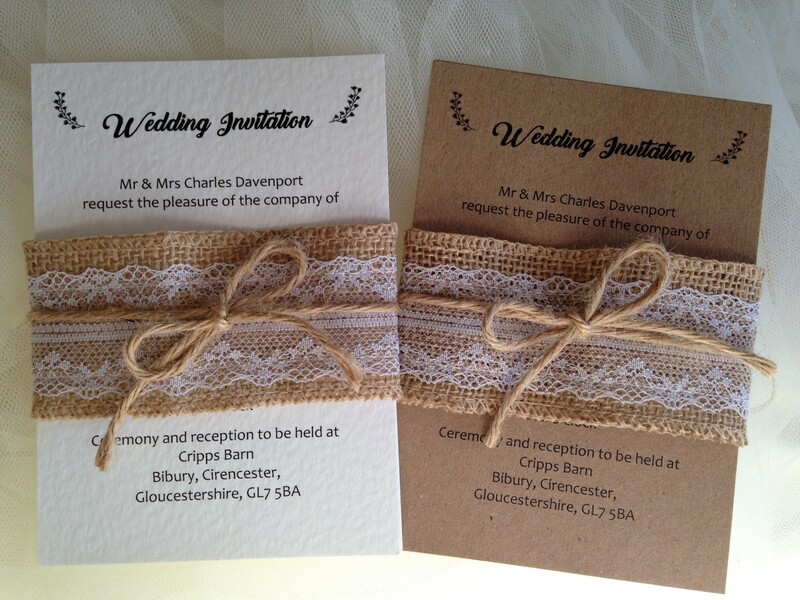 Hessian and lace is such a popular wedding trend and we’ve finally found a way to combine them effortlessly! This woven edge hessian is overlaid with beautiful scalloped edge pale white lace. 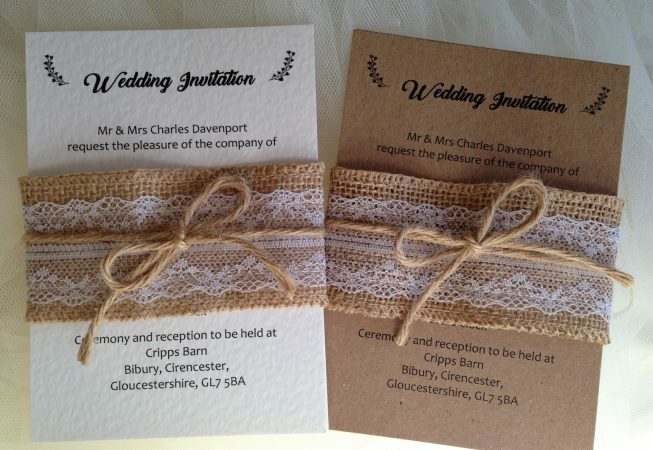 The perfect wedding invites for rustic, woodland, barn and country themed weddings. This invitation is available on a choice of card. 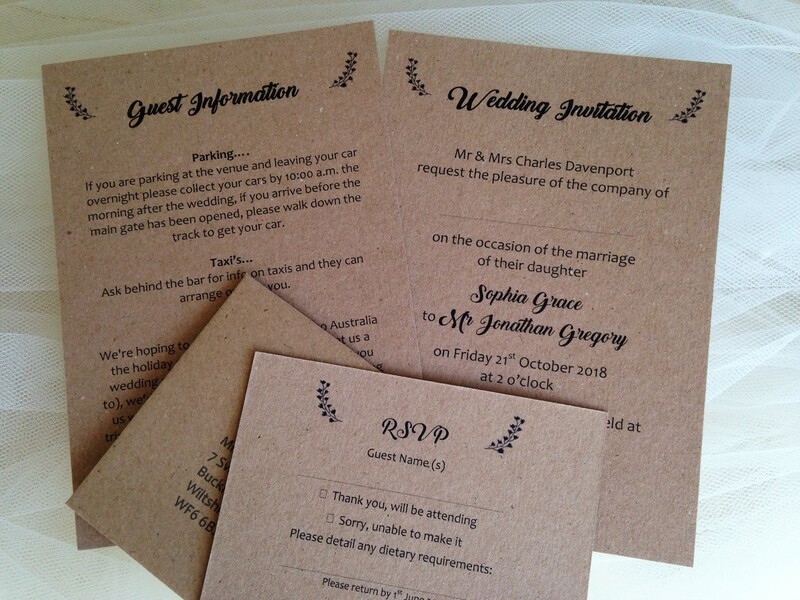 Either an attractive eco-friendly brown flecked kraft card with a rough natural feel (280gsm). Please note: There is a different shade of brown on opposite side. 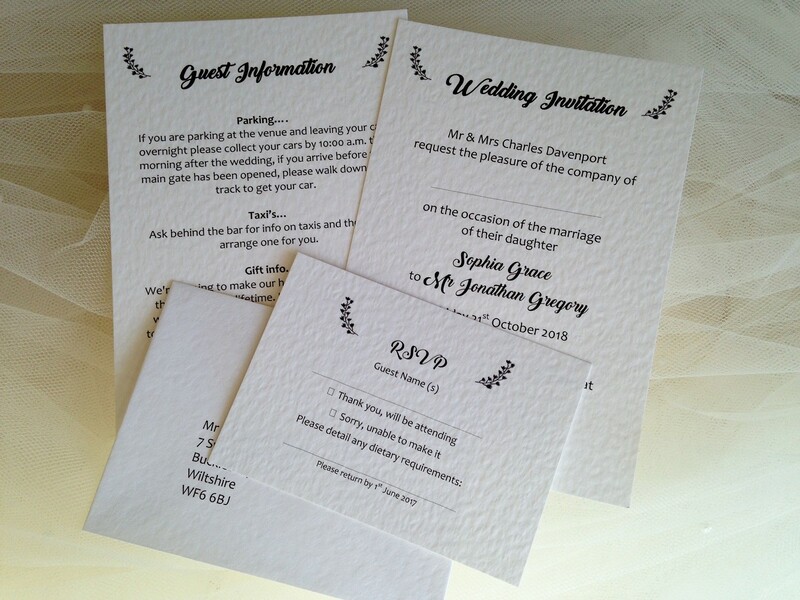 Alternatively the same bundle is available printed on either our ivory or white hammered card (270gsm). Ordering is easy, just click through to our How to Order page here. If you need help with your wording don’t worry. We have lots of experience and we will compose your invitations from the details you provide.